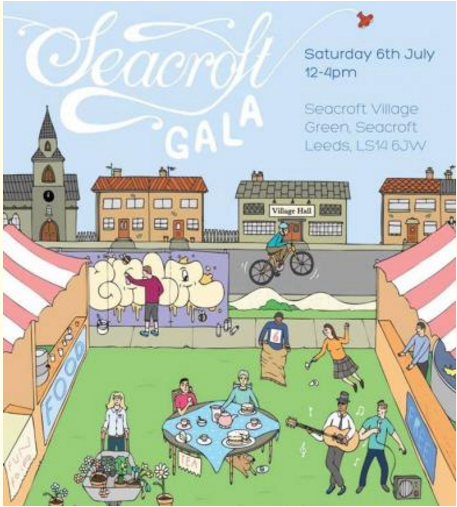 In July 2012 LS14 Trust hosted a themed gala around the Queen’s Diamond Jubilee, which included a Mini Olympic Games held on Seacroft Village Green. Leeds Inspired supported the event with a £2,500 grant. Over 2500 local people attended the event which included stalls, live entertainment, games and workshops, a Zumba session, face painting and a dog show ‘Dog Save the Queen’ judged by Seacroft Gala Queen. In addition three specific projects - Jubilee Jukebox, Mega Bunting and Seacroft Journal - focused on increasing participation in the area and enhanced involvement in the wider city towards a better connected community. LS14 trust is a group of local residents who work with others to make a positive difference to their neighbourhoods. Their work encourages local residents to be involved in cultural and creative activity in an independent way.